A few hours ago, there was a Square Enix Members interview with Lightning Returns director Motomu Toriyama and producer Yoshinori Kitase. Rather than just summarizing the session, I felt it would be best to sit down and write out a (mostly) full transcript so readers can see for themselves what went on. As a disclaimer, please note that the translator quite often broke down into “Uh, uh, well”, and very frequently used “And, like, so, kind of, kind of like”. I cut this down as much as possible, and tried to avoid typing out bits where the interviewer or translator made a misstep in their speech or began a sentence over again. I hope this is an informative read for you all, and please check back in case we manage to get more. Hostess: What was your vision for Lightning’s journey, and do you think it’s been achieved? Toriyama: We have depicted Lightning as a strong woman right from the beginning, from the first installment. And with the first installment she is a soldier. So we’ve kind of depicted her as being this stoic person, hard on herself, hard on her sister, and kind of a hardened woman. In the second installment she transcends beyond that human realm and gains an almost god-like strength, and it makes it kind of hard to approach her. 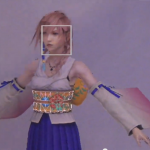 So in the third and final “Lightning Returns: Final Fantasy XIII” installment, we want to depict her from more of a human perspective. How she got to being the strong woman that she is, what she’s struggling with, and trying to depict her in many different angles, so that we can see her coldness, or her beauty, maybe through her poignancy. 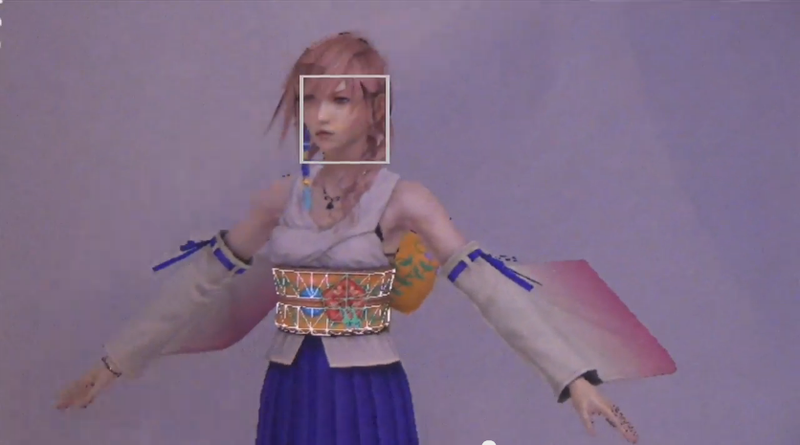 Her sadness and sorrow as well so that we can show a lot more of Lightning’s human side. Hostess: What would you say you are you most proud of in Lightning Returns? Toriyama: I’m happiest about having done this three-part trilogy, and being part of creating this very popular character who is Lightning, having to follow through these three installments. With the three titles in this series, we’ve kind of stuck together and also changed the game mechanics per installment. I am very thankful for the power of the dev team and the strength that they held up through the development process. I also want to thank the fans for being patient as we follow through on this three-part series as well. Kitase: What I’m proud of about this title is that our dev team was able to accomplish so much in such a short period of time. We will have released three titles in the span of about four years. We’ve taken back all of the feedback we received from our fans and we evolved this title throughout the installments. So I’m really proud that our dev team grew to accommodate the requests and the fact that we do have such a strong, good development team. Hostess: Why Lightning? Why is Lightning the character and the story, in this world, the installment that gets the trilogy treatment as opposed to other games in the series? Kitase: This ‘Lightning Saga’ is part of the crystal mythos called the Fabula Nova Crystallis, and it has a very large, vast setting. We weren’t able to depict everything we wanted in just one installment, but we wanted to demonstrate more of the overall mythos. That’s why we expanded into the trilogy. In terms of Lightning herself, we’ve been with her since 2006. If you counted planning and pre-development, it would be even earlier than that so wanted to continue being with her, wanted to bring her out and let her shine once again. Hostess: Can you tell us a little bit more about ‘thirteen days’, the actual time limit in the game, and logistically how it affects gameplay. Toriyama: In terms of gameplay we have thirteen days left before the world ends, but at the start of the game Lightning is given seven days to explore and go through her quests. By completing these different quests she is able to prolong the life [of the world]. So the system is set up so you start off with seven days, and you kind of extend the life of the world as you complete your quests. Hostess: Can you expand a bit on the new battle system as well? What can we expect from that? Toriyama: In terms of the battle, in traditional battle we would think of the ATB (Active Time Battle) system. But with this game we tried to keep that kind of strategy element in the battle system as well as improving and evolving the speed and the tempo of actual battles. So what we’ve done is incorporated a system called- Well, what we call ‘Style Change’ but in the English version will be called ‘Schemata Change’, where Lightning has her equipment- her outfit, her weapon and shield- add to her different abilities and her attributes that are set. So you’ll be switching between three of those, and each of those Styles/Schema have an ATB Gauge assigned to it. You’re going to be strategically trying to pick which gauge and which Schema is appropriate for that instance, when you want to put in the command. And that’s how our battle system is set up in this installment. Hostess: Speaking of outfits, you’ve mentioned that there’ll be a substantial number, and we’ve seen a few of them in the trailers. Can you say how many you’ve planned, and maybe give us a few details about the outfits she’ll be wearing? Toriyama: So in terms of number of outfits we have… a lot. (Toriyama chuckles throughout) We have over 80 different types of outfit prepared for Lightning. 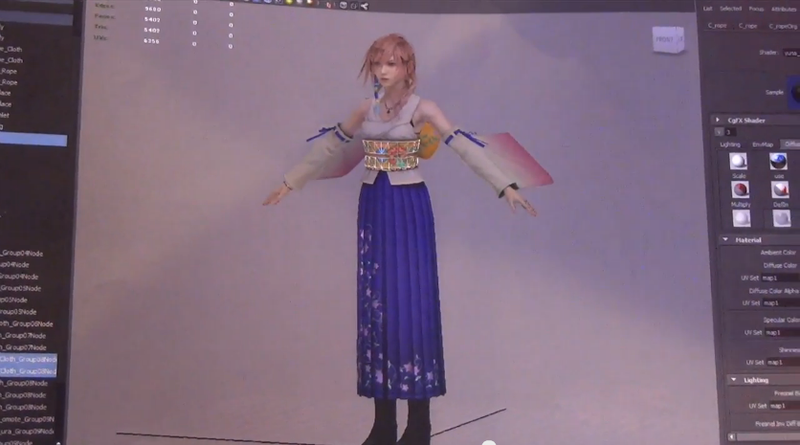 You can definitely changer her look, but her outfits are also going to link to her powers and abilities as well kind of like the job system in typical Final Fantasy games. But not only do you have these different outfits, you’ll be able to customize each different part on her outfit, and change colors so you can make your very own Lightning. You can do what you like in terms of what outfits she has. Hostess: Will we be able to obtain her two previous outfits? I know her armor as Etro’s Guardian is a very popular look with a lot of people. Toriyama: This is actually information we’re revealing here, at this broadcast booth. We actually have it set up where if you have save data from the previous two games, Final Fantasy XIII and XIII-2, you will be able to obtain the outfit from the respective title or titles. 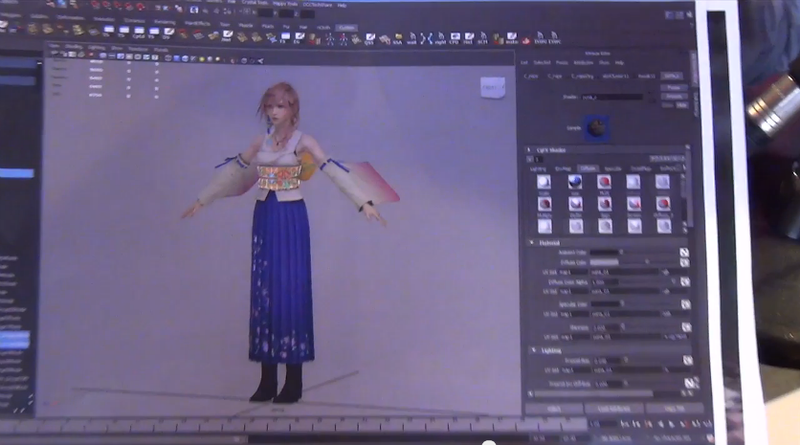 So, you are going to be able to use that in Lightning Returns. Toriyama: With this installment, not only will Lightning’s chapter of the story end, but we’re going to have closure for many of the characters that have appeared in the previous installments. For example: I think you’ve seen Snow appear in some of the new information. He’s going to be in the game as well. He’s agonizing over the fact that he was not able to save Serah, and he has this very dark struggle in his heart. Lightning will try to approach him, and try to save him as well, but there may be a little bit of conflict there. Hostess: And are there any ‘Easter Eggs’ that you want fans, longtime fans of the franchise to be looking out for in Lightning Returns? Toriyama: This might be a little off from the actual question, but speaking of community we are going to be incorporating this new function in Lightning Returns. This is what we call the “Outworld Communication”. You’ll be able to post screenshots or messages on a community board via social networks. We hope our fans would take advantage of that, utilize it and kind of grow there in the Outworld of Lightning Returns. Hostess: So we are running a little short on time. I’m gonna pick through a couple of community questions we have. Will Eidolons or summons make an appearance again? Toriyama: The summons were created by the Goddess Etro in the world of Final Fantasy XIII, so at the end of XIII-2 when Etro lost her power, it means the summons lost their powers also. They won’t be able to appear as they would, in their original form. Hostess: Will the game be supported with Battle DLC after launch, and may we see some familiar characters in the Coliseum in Lightning Returns? Kitase: In terms of DLC that would expand on the actual story of Lightning Returns, we’re not really planning for those episodic DLC nor are we thinking of doing extra ‘boss’ DLC. We are planning to have it 100% completable on its own. We do have more than 80 outfits that Lightning can equip, so we would like to take into consideration maybe costume DLCs. I know the Legacy Final Fantasy costumes, such as past titles like the White Mage or the Black Mage, those were really popular so if there’s a great enough demand for things like that, we might be able to put it into consideration. So unfortunately, no battle DLCs after the launch. 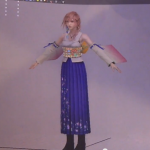 At the end of the interview, Kitase showed the interviewer a collection of papers which seemed to have different outfits for Lightning on them that were in development already or were being planned for. 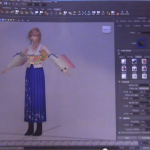 The interviewer recognized one of the outfits and asked if they would be able to show it off, and they agreed, It was revealed to be Lightning in Yuna’s outfit from Final Fantasy X, which we have a few small screenshots of below. They said they were developing it to help bring out a sense of nostalgia in this new game. Posted in E3 2013, Lightning Returns: Final Fantasy XIII.